A Lincoln Square bicycle shop has been burglarized twice in January (and at least three times since last summer), a clear sign of just how widespread overnight burglaries to businesses are on the North Side. 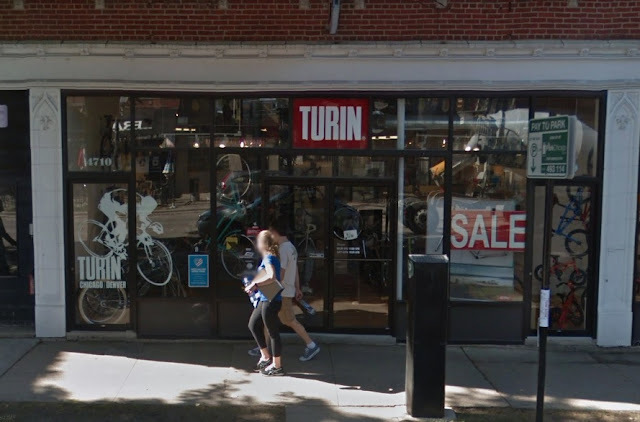 On Jan. 12th, cops rushed to the Turin Bicycle Shop, 4710 North Damen, around 4:30 a.m. after a passer-by reported that the store’s front glass had been broken, according to a burglary report filed with Chicago police. Then, at 4:31 a.m. on Wednesday, a burglar alarm at the bike shop brought cops racing to the scene. They found the front glass door broken in, a newly-filed burglary report says.